Why do competencies matter? That was the question asked at the Health Professions Network's 2015 Spring Meeting in Grand Rapids. If the question were simply, "Do competencies matter?," the answer would have been a resounding yes. But experts from hospitals, colleges, accrediting bodies, nonprofits and professional associations gathered to discuss all the ways how and why competencies are so important for the future of health care. Their discussions and presentations helped shape this white paper. HPN's paper explores how competencies can affect positive change for everyone—employers, employees, patients and society—by providing a strong foundation for collaboration at a time when it is more important than ever. 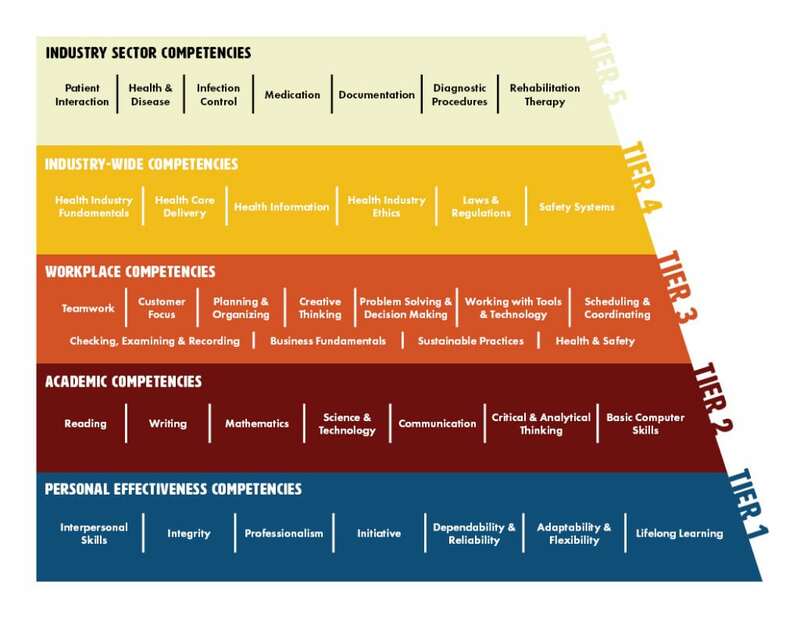 Competencies could bridge the gap between industry and educators, create both job security for employees and flexibility for employers, and result in more efficient, equitable health care for all. Access the white paper to keep learning. Because our Spring 2015 meeting focused solely on competencies, Health Professions Network is opening a members-only benefit to the public and releasing session slides from presentations and discussions referred to in our competencies white paper. Competencies give you an evidence-based, standardized language to explain how your credential, curriculum, or continuing education offerings reflect the competencies required for success in the workforce—providing a resource for you to guide employer or professional understanding of the value you provide as an organization. The standardization and commonality of language further facilitates collaboration between organizations—whether it's articulation of credits between colleges, or working with employers and professionals to shape clear and accurate career guidance resources. and to serve as the foundation for career guidance tools such as career ladders and lattices. build your profession's career pathway to provide better information & guidance.